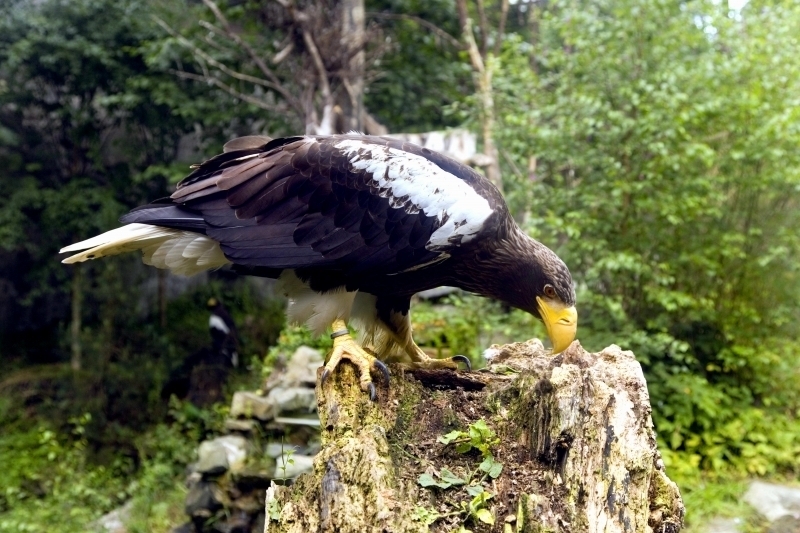 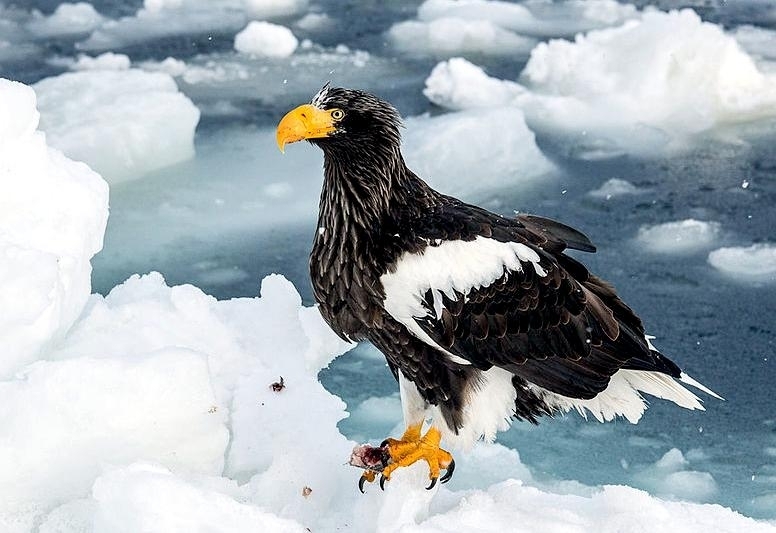 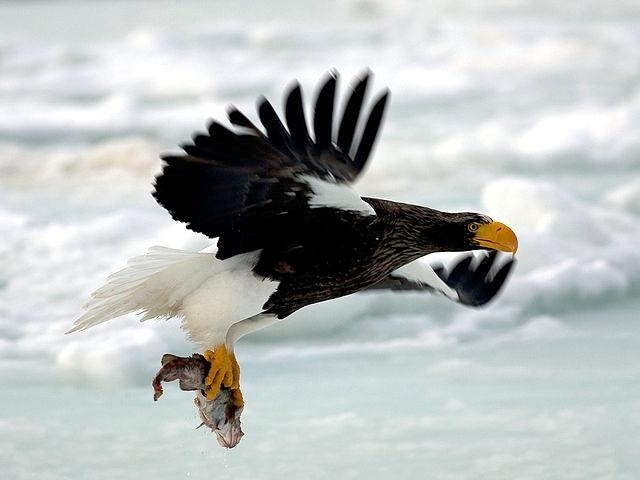 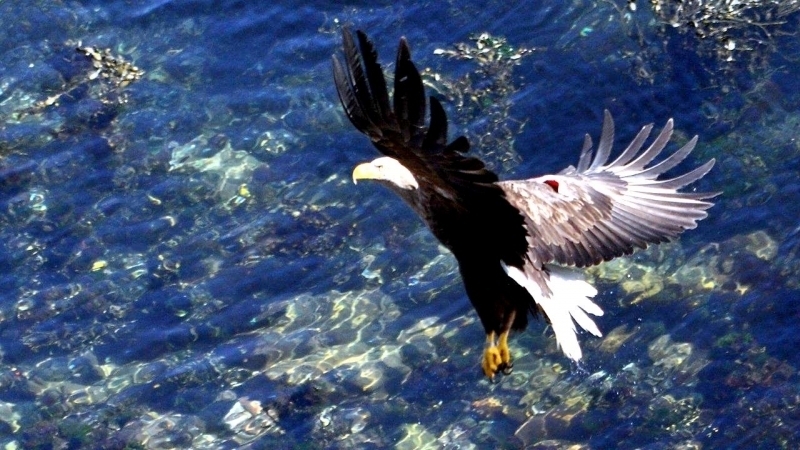 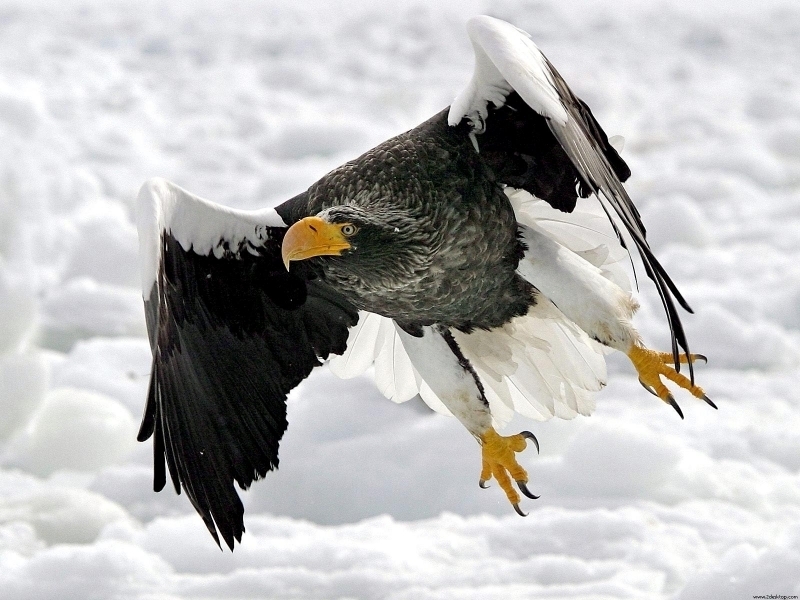 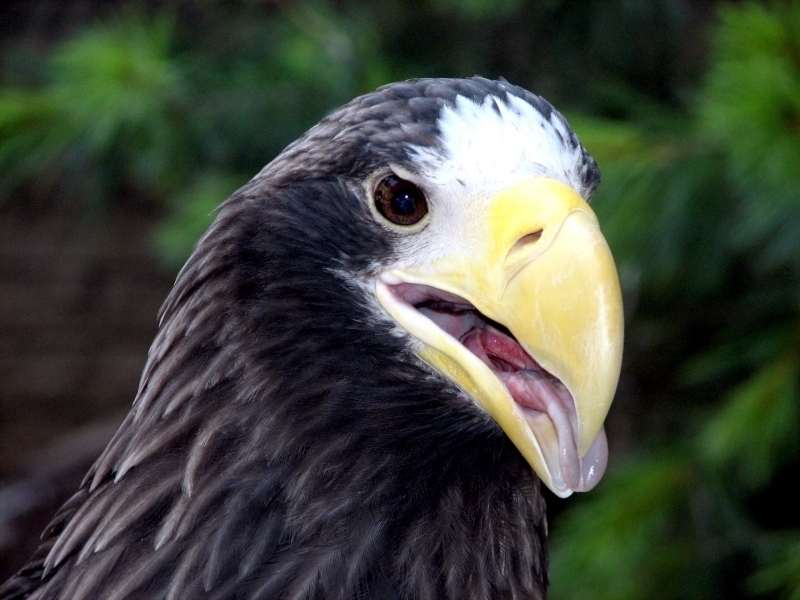 The Steller’s Sea Eagle is one of the biggest eagles in the world. 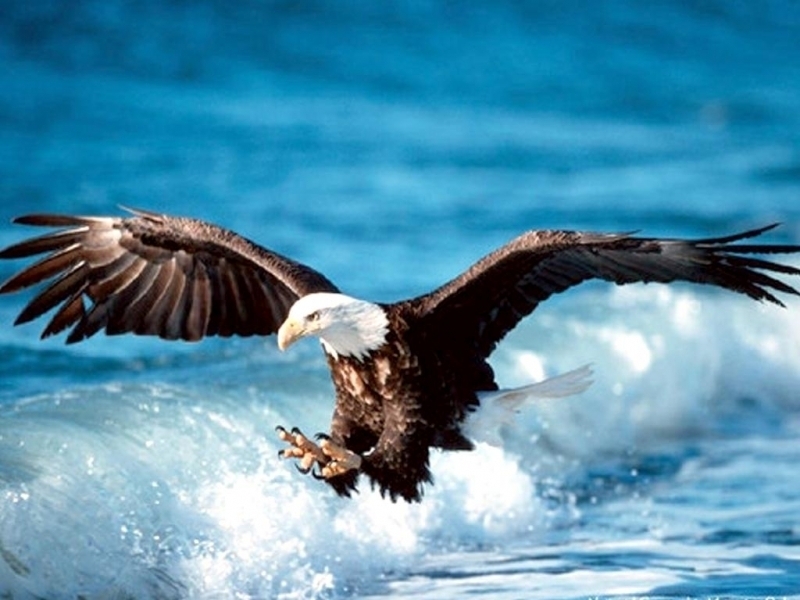 It is 107 to 114 centimeters in length, with an impressive wingspan of 218 to 249 centimeters. 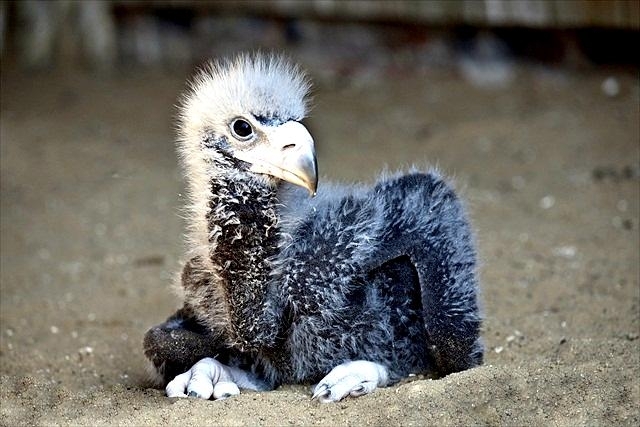 It is predominantly black in color with white plumage on the forehead, legs, tail and shoulders. 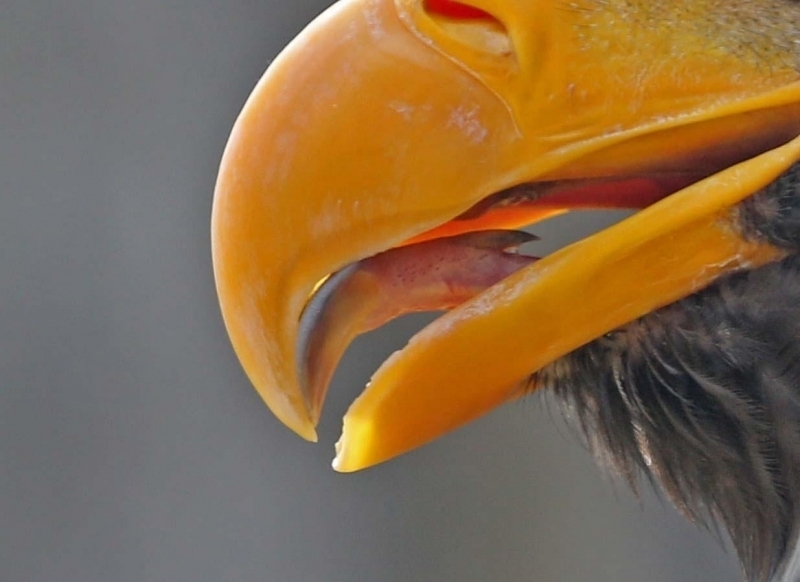 The bill is orange in color and is very big & heavy. 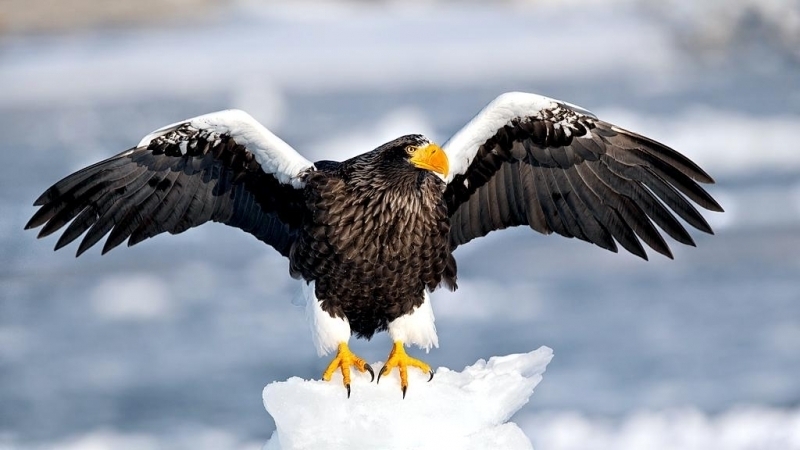 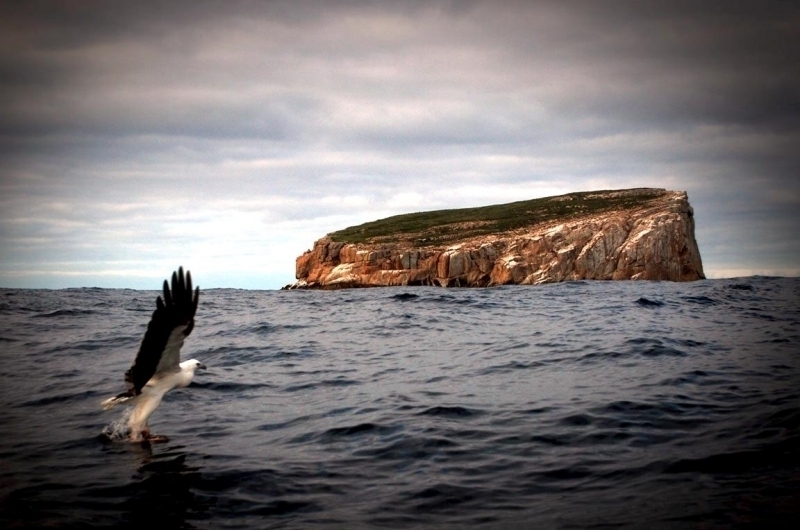 These huge seabirds were discovered by George Wilhelm Steller during his expedition with Danish Captain Vitus Bering to the coast of Alaska and the Commador Islands in 1741. 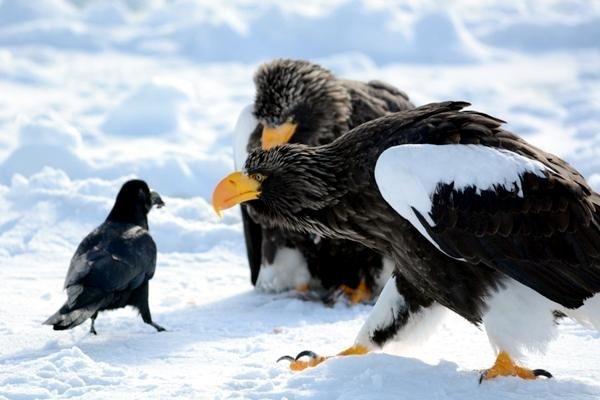 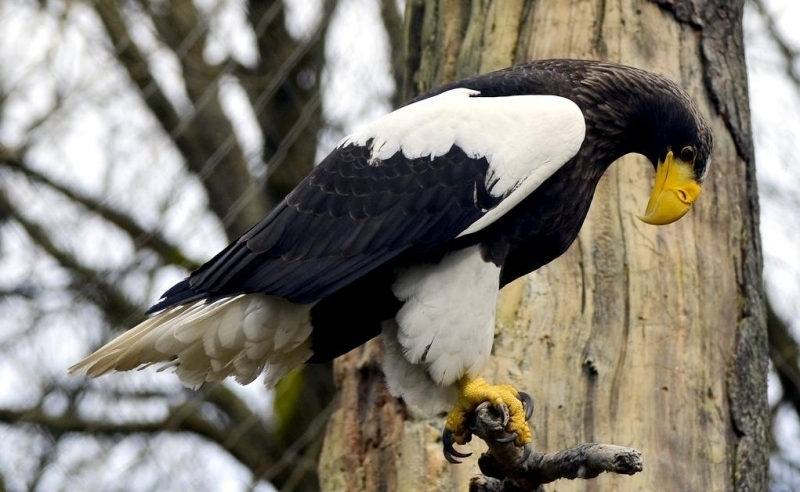 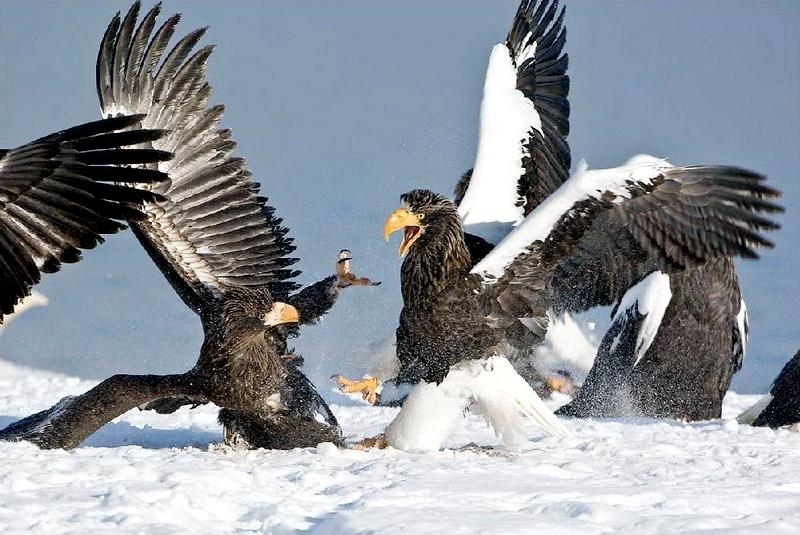 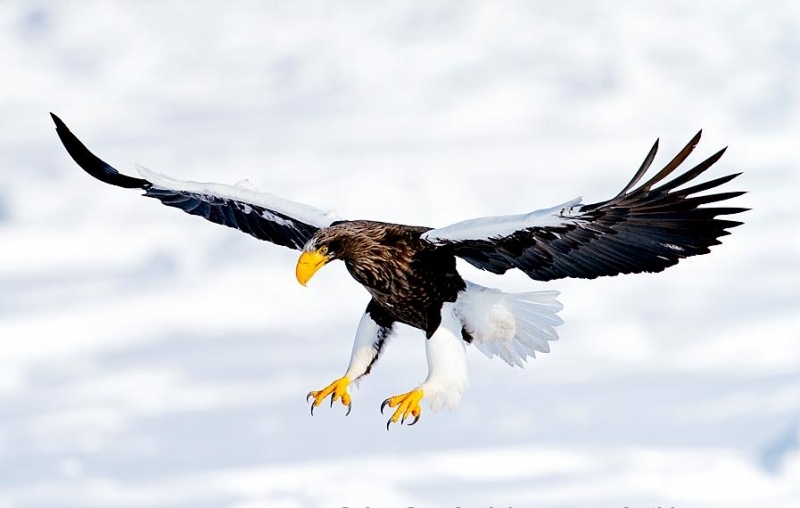 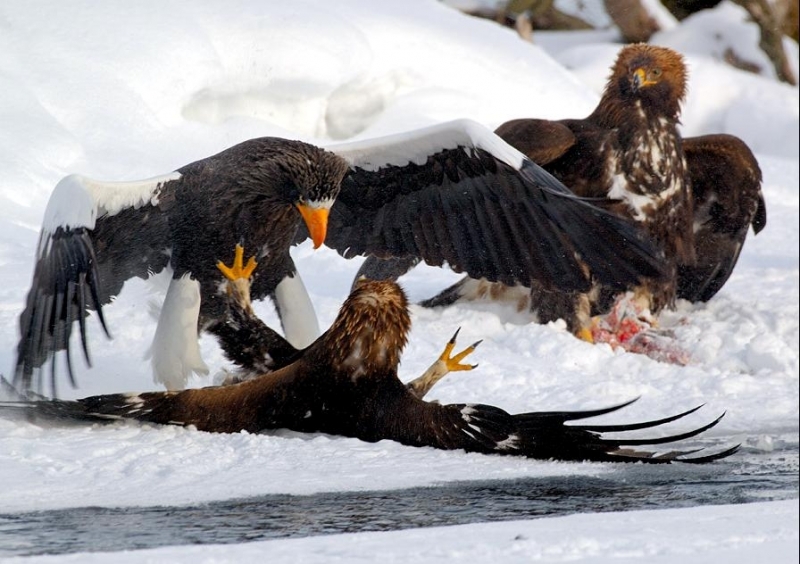 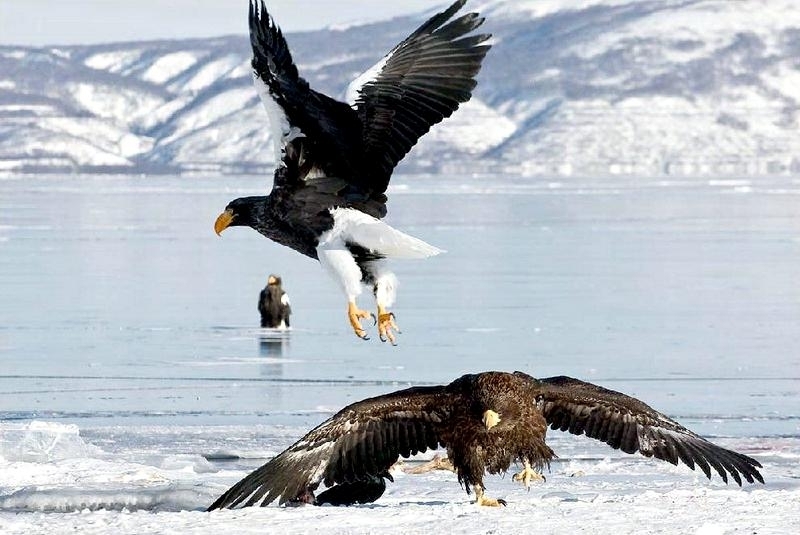 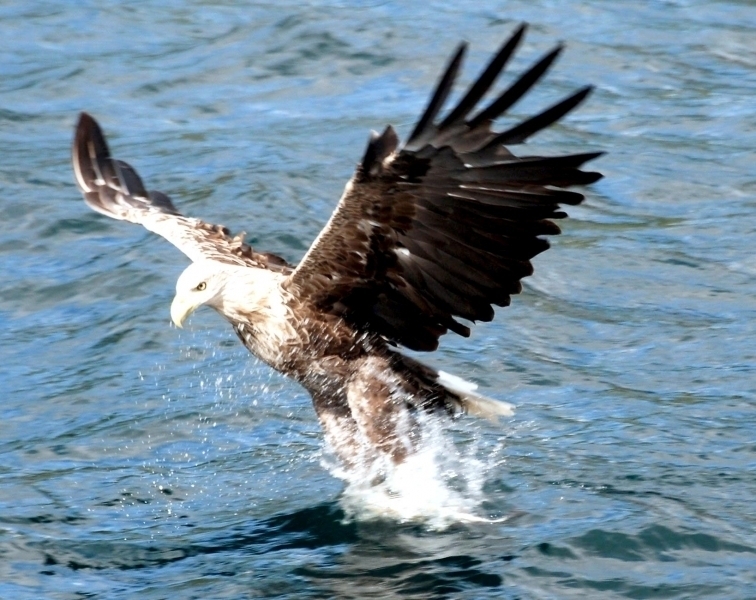 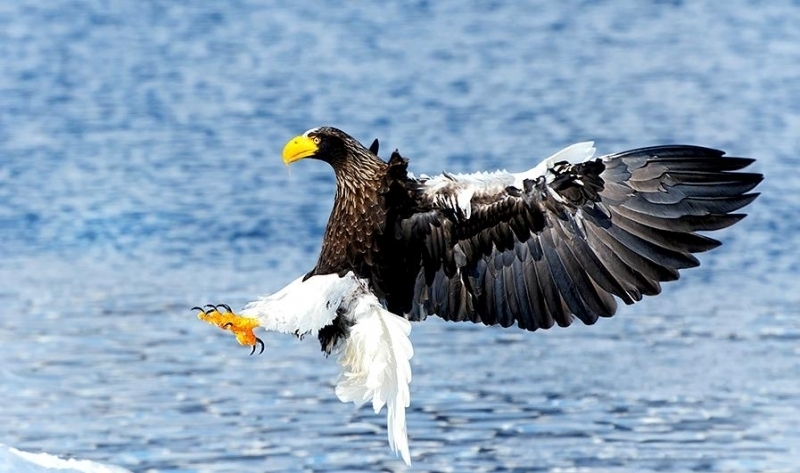 Both the male & female Steller’s Sea Eagle are similar in appearance. 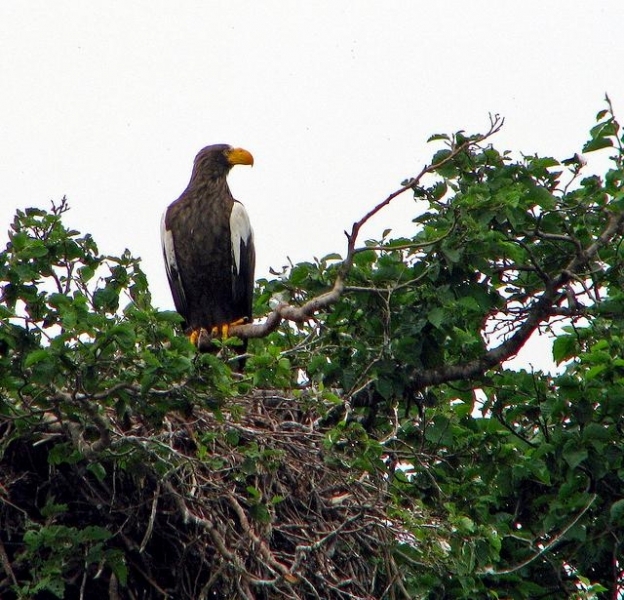 The female is a slightly larger than the male. 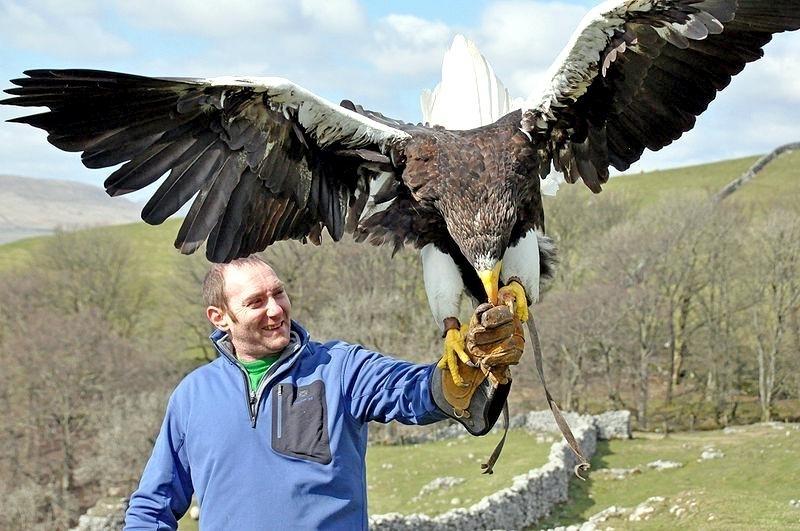 Its large wingspan enables the eagles to glide for most of their flight, alternating with several deep & powerful strokes between glides. 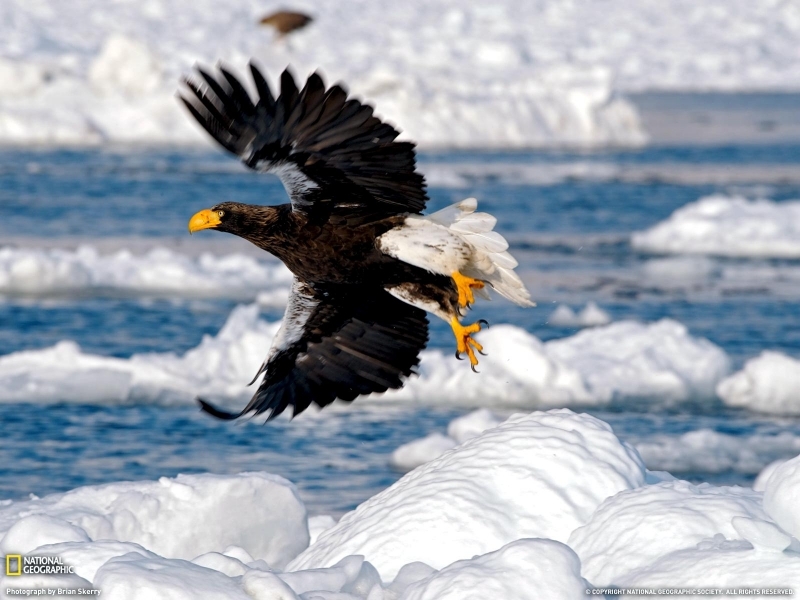 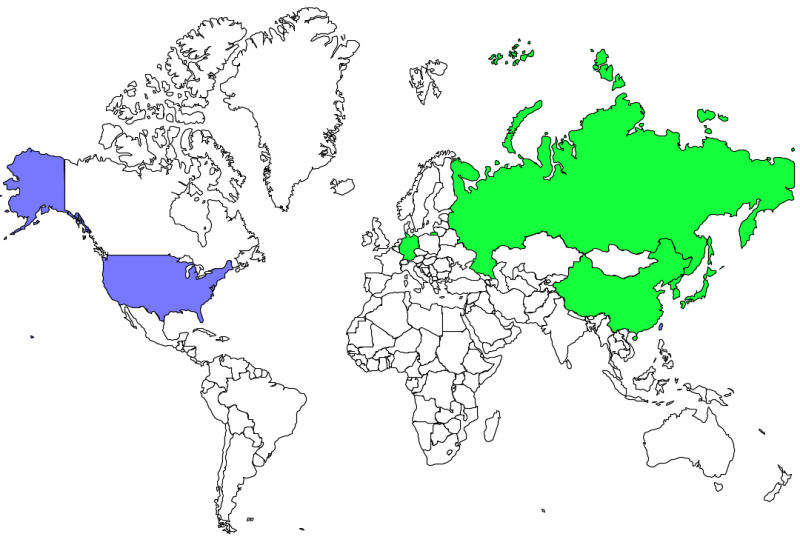 They can be found in the northeastern areas of Siberia and in the northern regions of Korea & Japan. 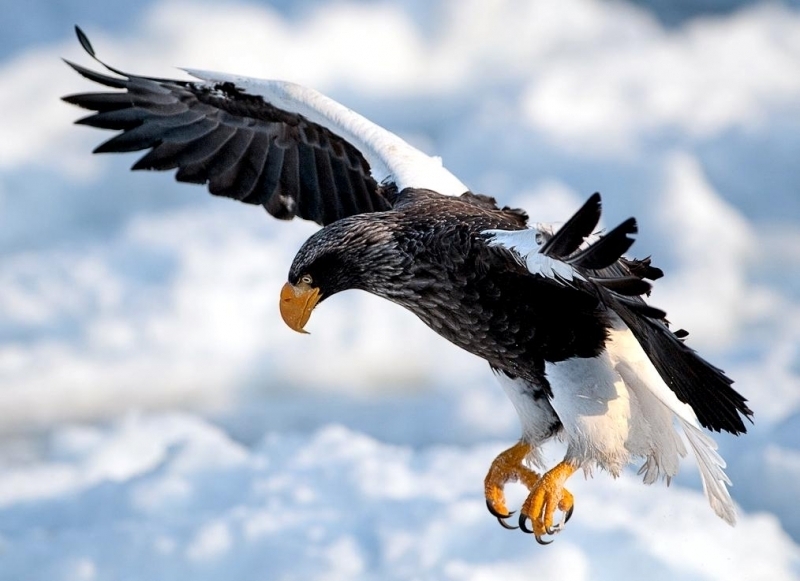 During the winter months, the Steller’s Sea Eagle will move towards Korea & Japan and is sometimes seen along the Chinese coast. 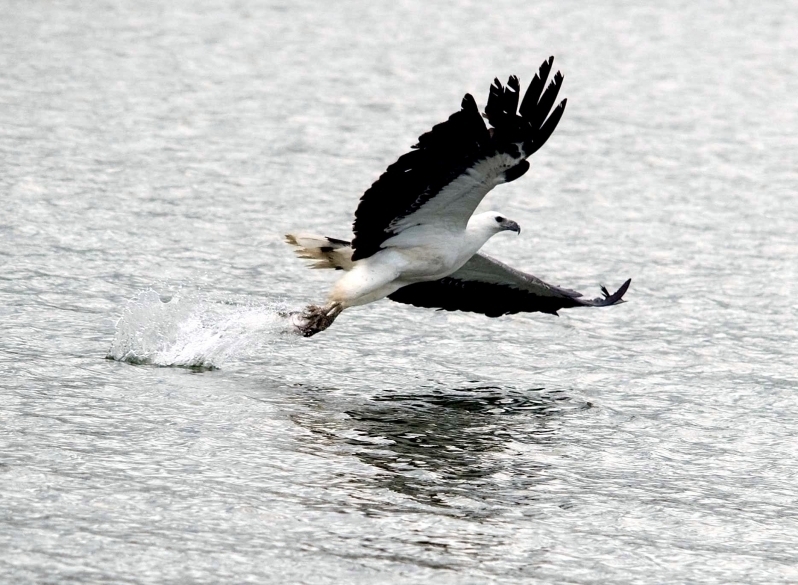 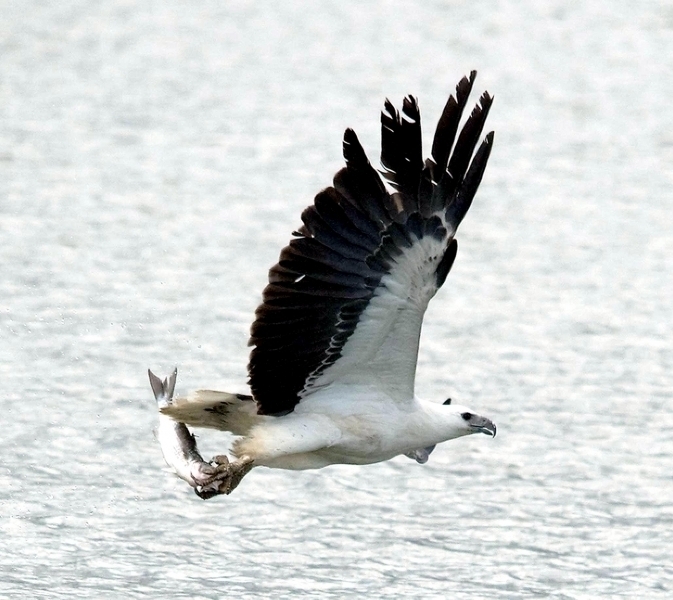 These birds tend to remain as close to the ocean as possible and when located inland along rivers, it is usually still within close proximity of the coast. 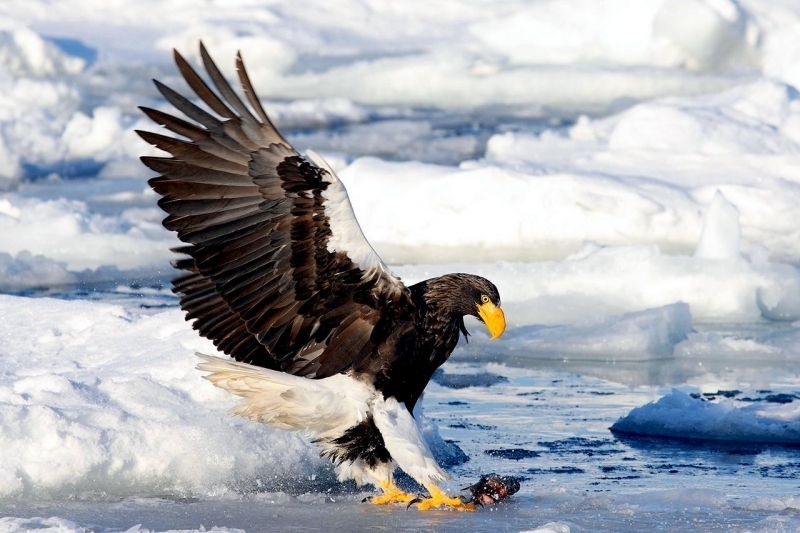 Steller’s Sea Eagles feed mainly on fish but will occasionally also catch birds, ducks and smaller mammals such as hares and seal pups. 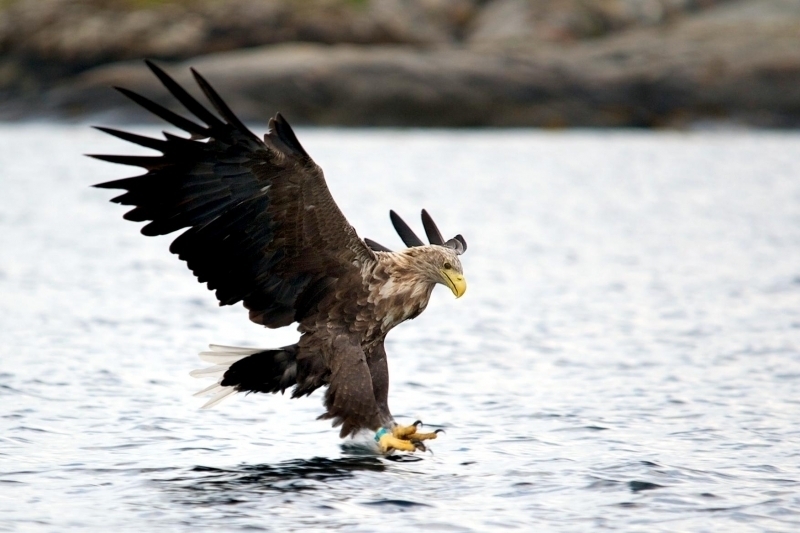 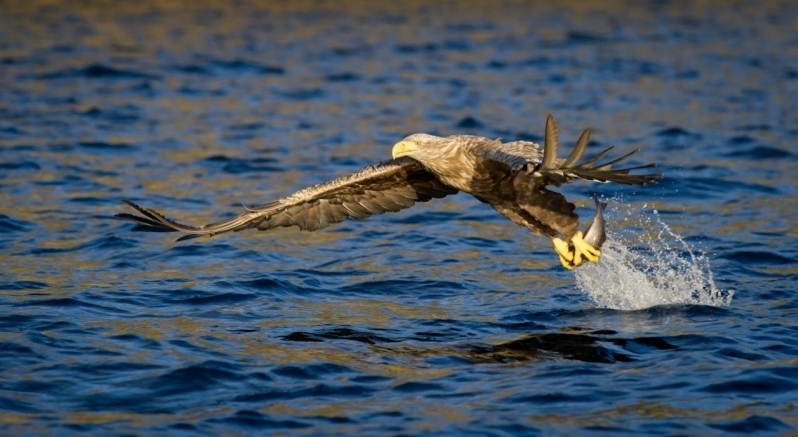 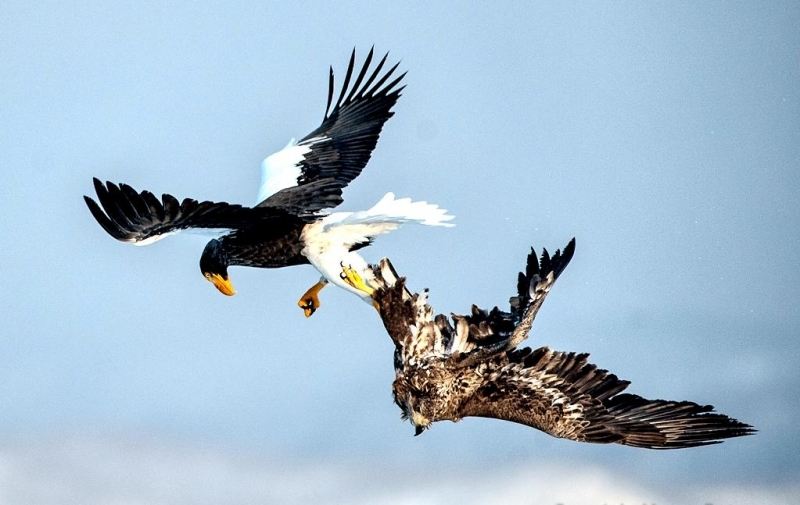 These powerful birds of prey have also been seen taking Arctic Foxes & Sables. 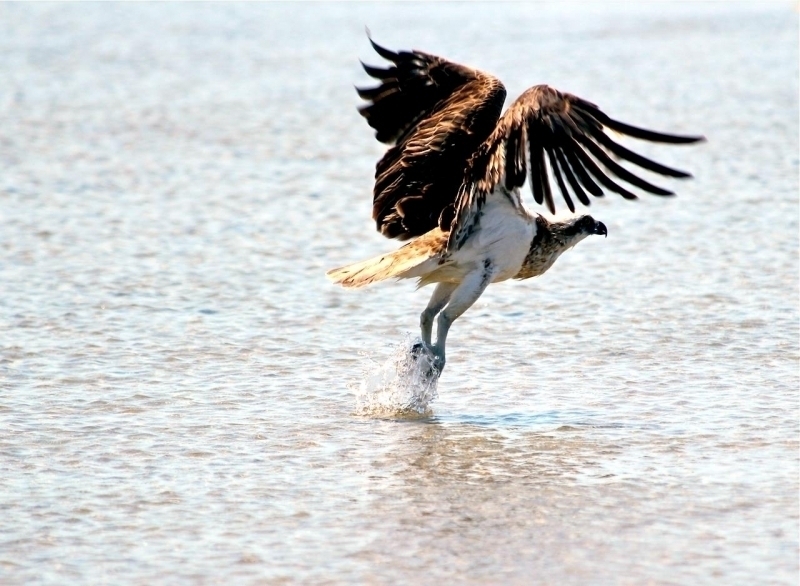 They are capable hunters on water & land and will take molluscs, crabs and washed-up fish on the shore. 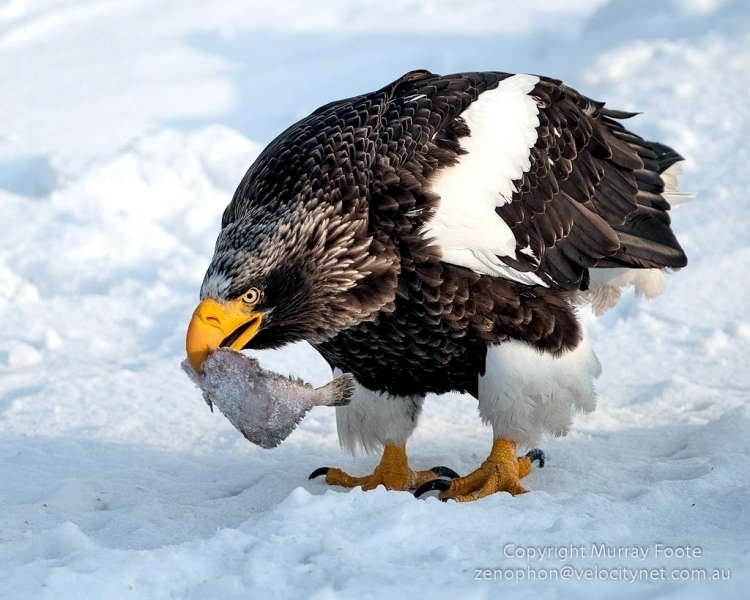 Very little effort is put into hunting, as not many prey stand much of a chance fending off such an incredibly strong hunter. 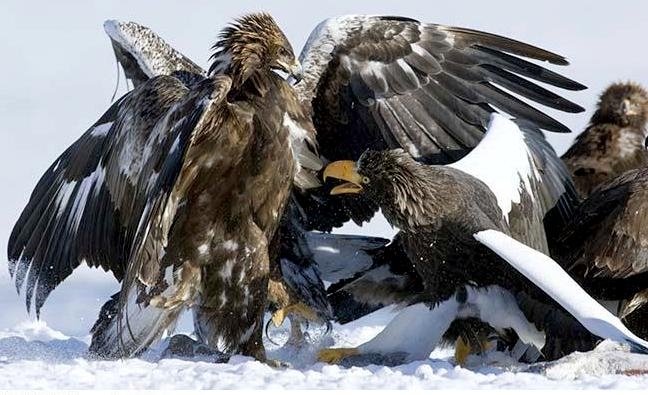 Mating starts in the month of March. 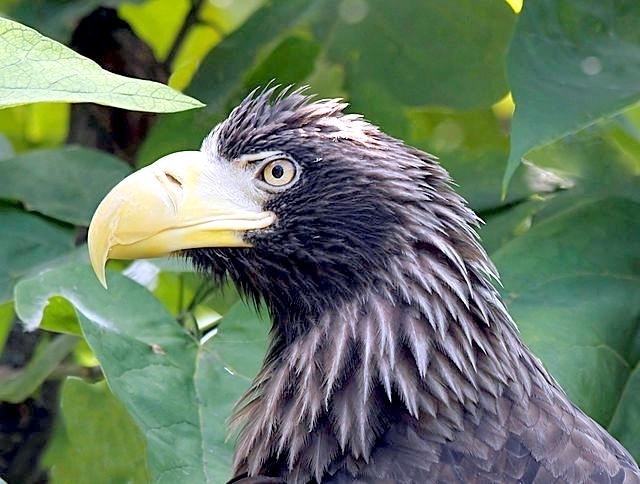 Steller’s Sea Eagles construct huge nests approximately 12 feet thick and 8 feet across. 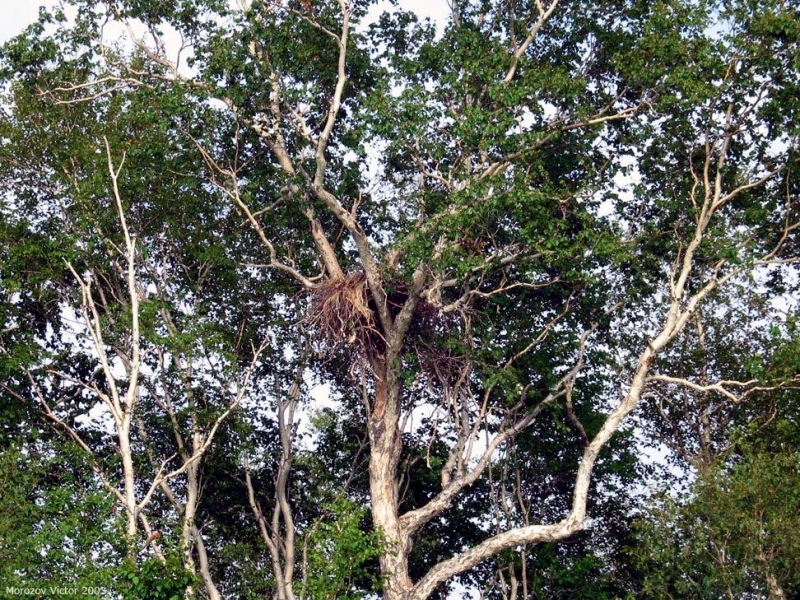 The nests are re-used every year, are built on top of the trees and can be as high up as 100 feet. 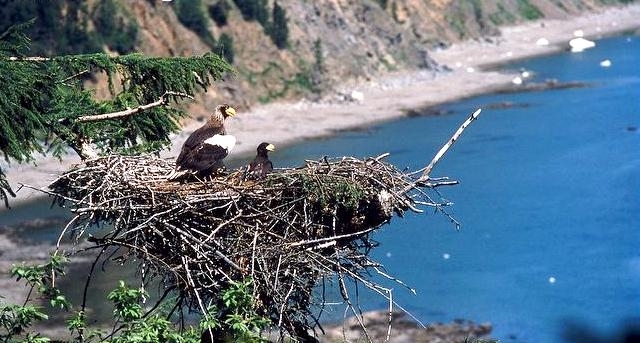 Mountain cliffs can also be used for nesting. 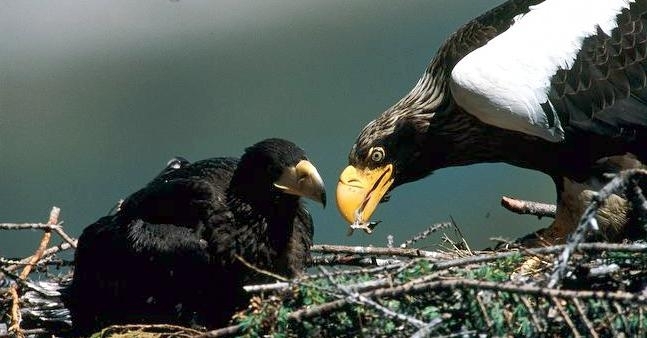 The female will incubate the eggs for a period of 38 to 45 days. 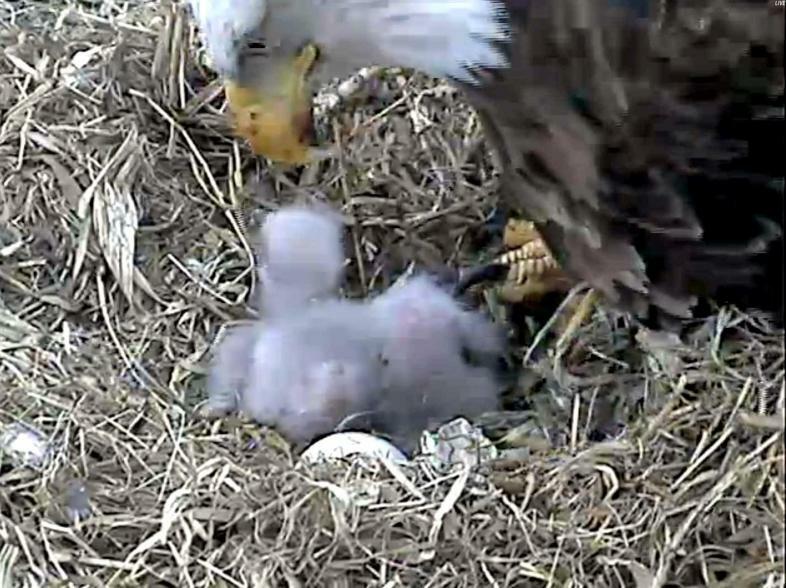 She lays between 1 to 3 eggs that are laid in April or May. 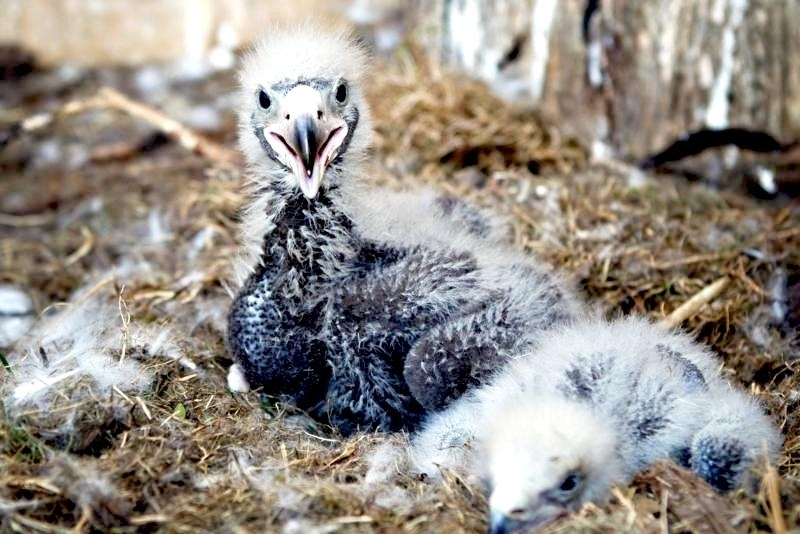 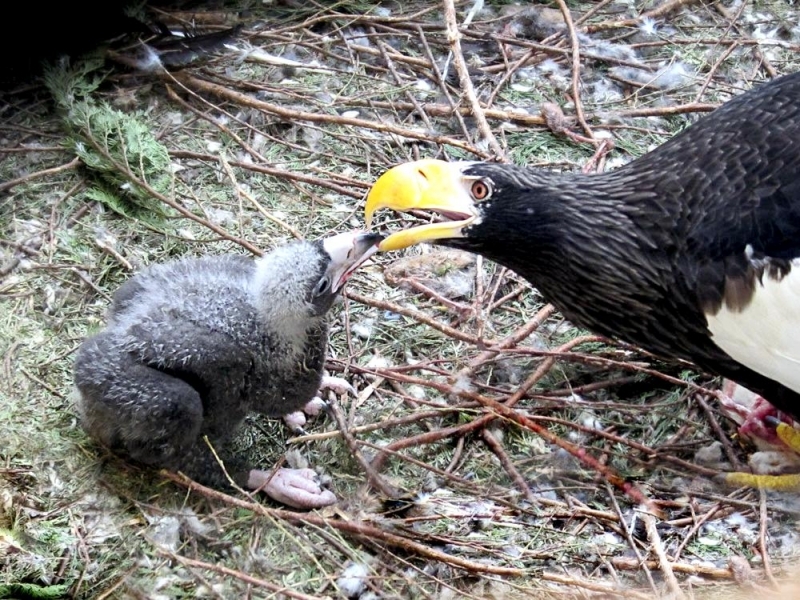 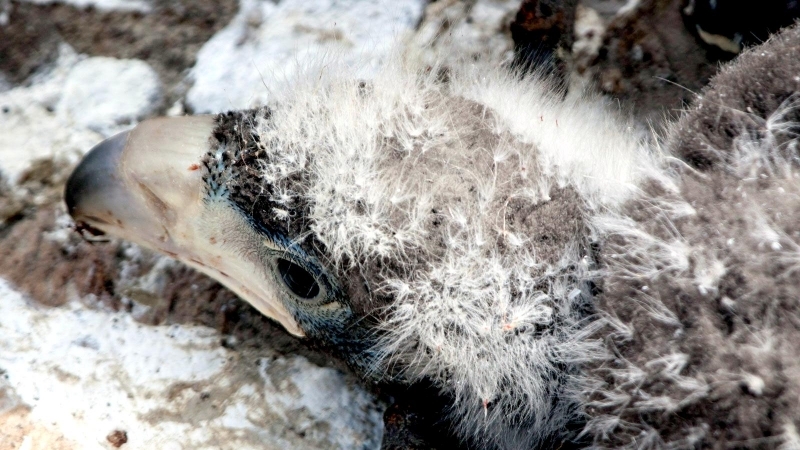 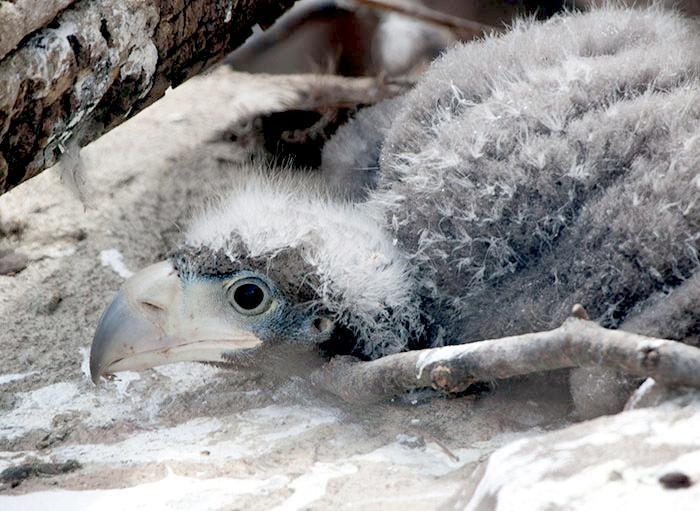 The chick will usually hatch in July and fledge the nest in August or September. 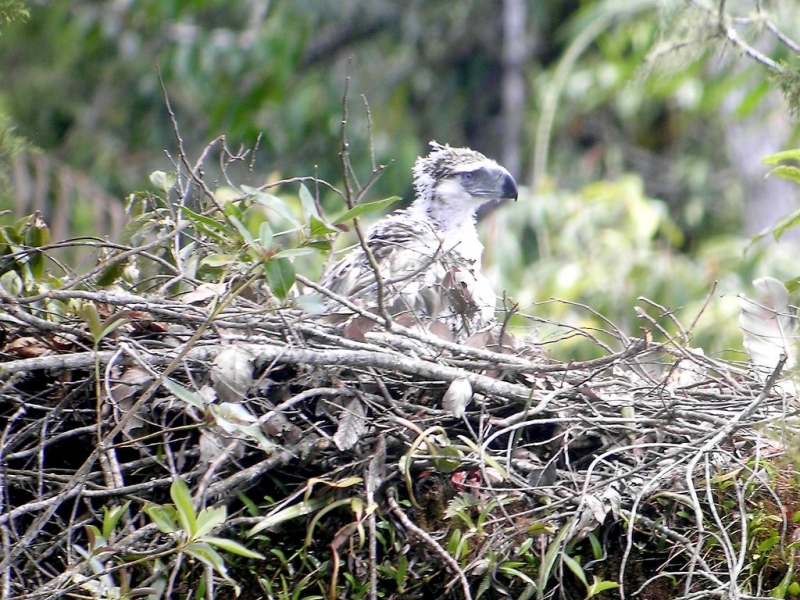 The entire cycle from mating to the fledging of the chicks takes 6 months. 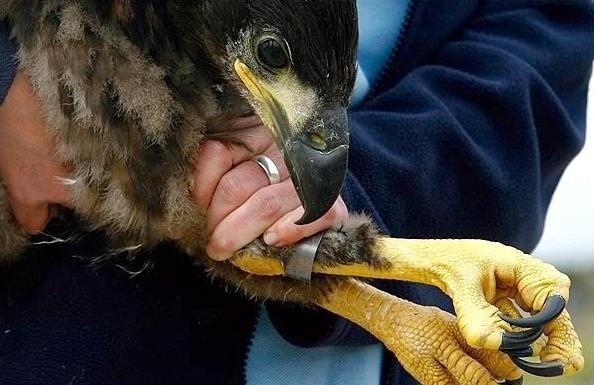 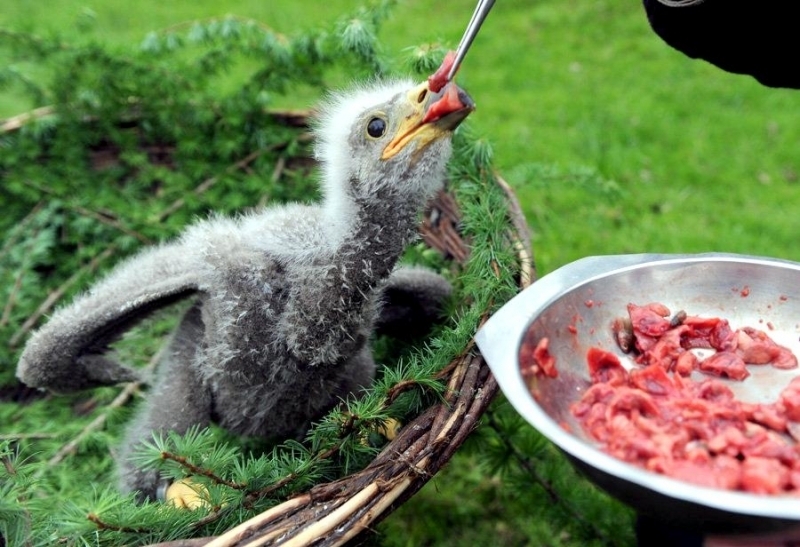 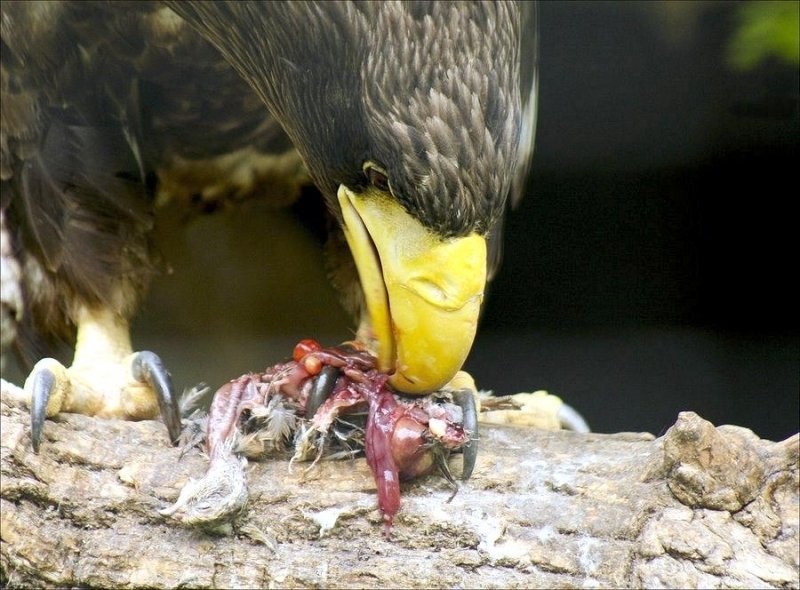 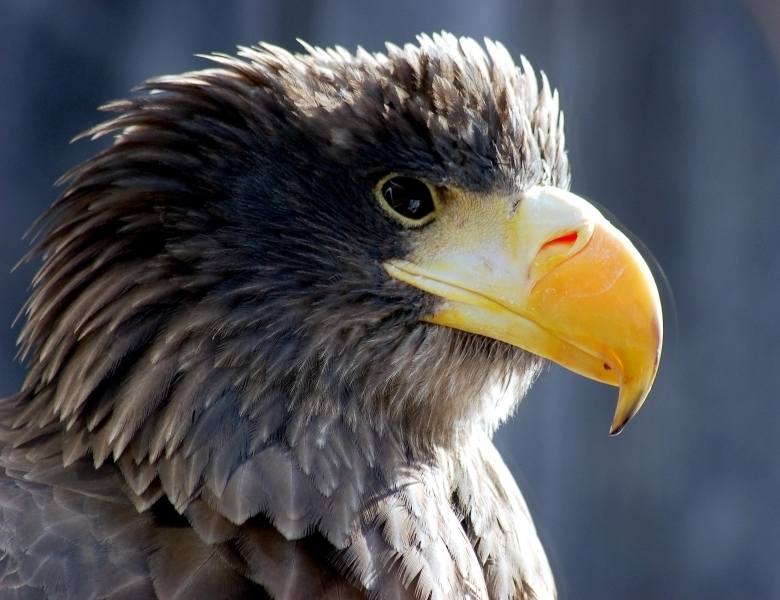 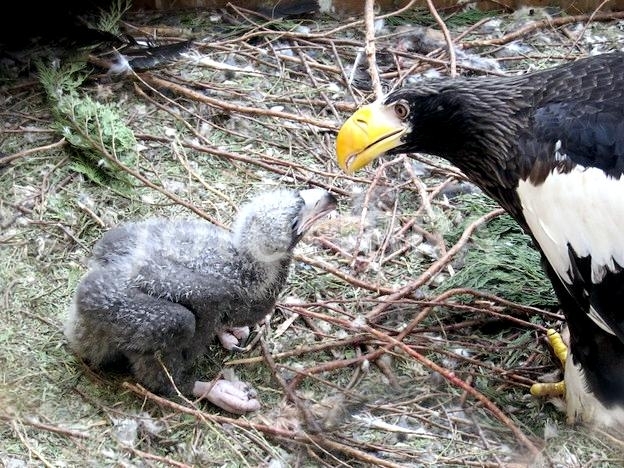 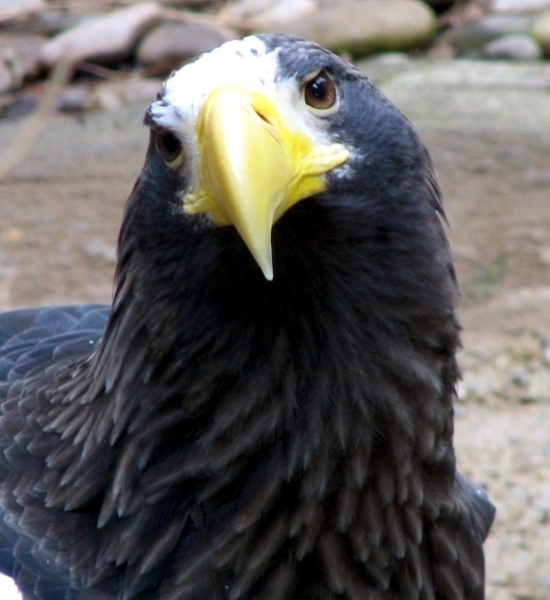 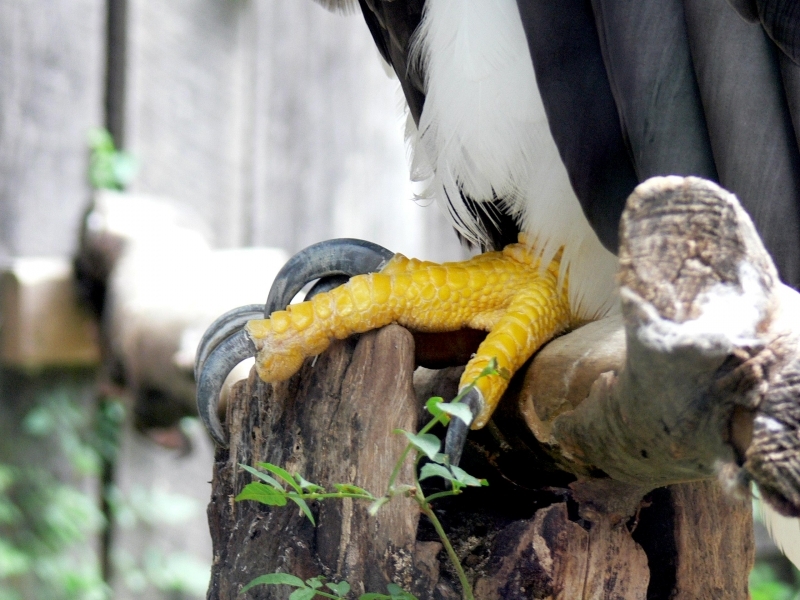 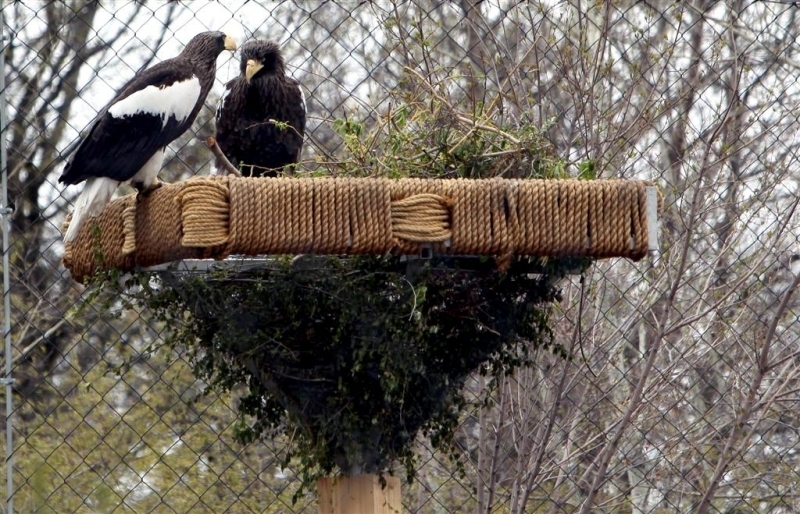 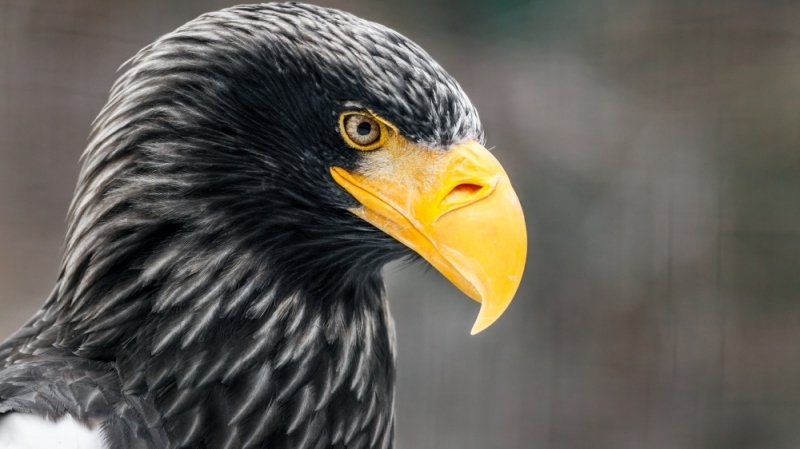 Complete adult plumage of the Steller’s Sea Eagle will be acquired at 4 years of age.